Welcome to KDT Decompression Systems and Technique! We Invented Affordable Spinal Decompression. Dare to compare... featured, versatility, and price! The Armedica KDT-650 Neural-Flex Table is the first Decompression Table which adds the capability of advanced treatment of nerve and foraminal encroachment syndromes as well as a new option for patients suffering with spinal stenosis. The Armedica KDT-650 Table is the only Decompression Table featuring Bolster-less leg elevation with Pelvic Tilt which pre-tensions posterior elements. The table allows simultaneous patient and table Y-Axis distraction. The Passive Tensioning Reactive Orthopedic Spring controls X-Axis Table motion. Now you can enhance decompression without the danger of increased force. The Armedica KDT-650 Neural-Flex provides improved comfort while applying Decompression to the Cervical Spine. The patent pending mid-section elevation allows full support to the lumbar spine while lowering Thoracic kyphosis. This biomechanically correct position enables a full range of cervical angulation. The MTD-4000 Decompression Drive has the advanced features previously found only in the most expensive systems at a price everyone can afford! The KDT 655 Neural-Flex ® Multi-Tool Decompression Table combines unmatched comfort with elegant design. Upper section pivots at L-5 for true upper body Semi-Fowler Positioning (Supine) and true Prone upper body Reverse Hammock position. Lateral motor mount slide allows lateralization of pull. Effortless prone positioning. Retractable/Adjustable arm rests; pronated grab bars and arm butress eliminates slippage without the need for a wing vest. 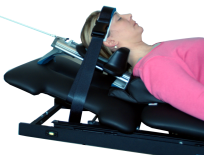 At a time where many Chiropractors are seeking alternate revenue streams the KDT-650 Neural Flex table offers mainstream Chiropractors a reason, and a price point to add this potent therapy to their practice. 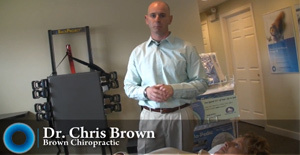 Read about how how many different Chiropractors are having great success by using the KDT-650 Kennedy Decompression Table for treating the most stubborn injuries. Instruction on how to assemble the table, set-up patients prone, supine, cervical, and side lying. Also includes how to use the advanced features of the traction head and included accessories.